I was my original spider plant from a friend of mine. She gave it to me in 2011 and it was and still is in a green bucket planter. 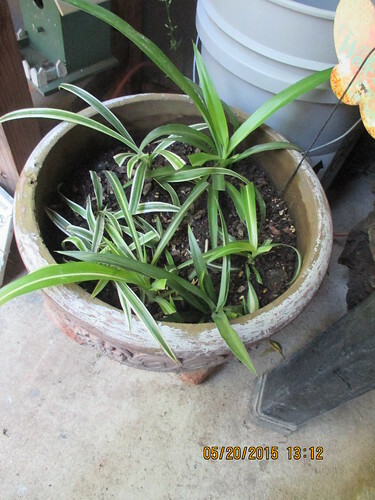 I love this plant and many years later I have a family of spider plants inside and outside. The Mother plant is doing great. This planting is in the On my porch garden . Gift from my friend Denise.